After a perilous escape in an alien craft, they crash-land on Earth's surface only to realise the awful truth: No one believes in the Undying threat in orbit. With no choice but to take matters into their own hands, they must escape custody of the powerful International Alliance in order to discover the true mission of the Undying, and how to stop them. On the run, fugitives among their own people, they must journey across Europe to stop an alien invasion, prevent a horrific plague, and save the people they love. 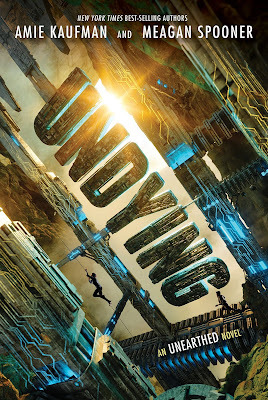 There were some shock revelations about the Undying at the end of the previous book that had left me with loads of questions about where they came from and what their plans were. Everything is slowly revealed in this book and there were definitely some twists that I didn't see coming. The story was very cleverly plotted and it was fun trying to unravel all the clues before the big reveal. This really was a great follow up to the first book and a satisfying conclusion to the series.